It's a fact that projects that require rock blasting are becoming more and more technical and restrictive. Now, more than ever, Maine Drilling & Blasting's experience and services can facilitate your project and help streamline necessary approvals. Print or directly download our Project Facilitation Services resume below. Maine Drilling & Blasting has blasted in some of the most sensitive areas in the Northeast, including a considerable amount of work in urban settings. In our experience, we have found that the key to avoiding the roadblocks associated with the public is simply education and compassion. Our technical department frequently makes presentations on behalf of developers and owners to planning boards, public meetings and neighborhood associations as part of the project approval process. In addition, our in-house pre-blast survey service is much more efficient, timely and accurate than third-party sources. We see this issue continually stall projects and result in specifications that require excessive means in cost, effort, restrictions, ineffective methods, and, all too frequently, lost time receiving approvals. We will work with a team of geologists and engineers who can develop a cost-effective plan to demonstrate and prove that the rock blasting activity can be planned and executed safely, with the least amount of impact to the environment, while not spending unnecessary time and money. Working with the authorities to get a project through the planning and approval process will, no doubt, be an integral piece to getting your project underway. Rock blasting is a sensitive issue that oftentimes creates a hurdle based on public perception that is not easily overcome. Again, we have the staff with the applied knowledge; we oftentimes know these people personally, and certainly know what concerns they have and need addressed. We can successfully satisfy their needs without adding costly restrictions or adding unnecessary time to the schedule. Maine Drilling & Blasting has the experience to recommend cost advantages to approaching work in a way that will be most safe and efficient. We submit reasonable standards for regulatory review. Also, we can make suggestions for rock remediation (rock-anchored slopes etc. ), as well as product choices, phasing, optimum excavation cuts and fills, etc. Get a free drilling and blasting project facilitation quote! 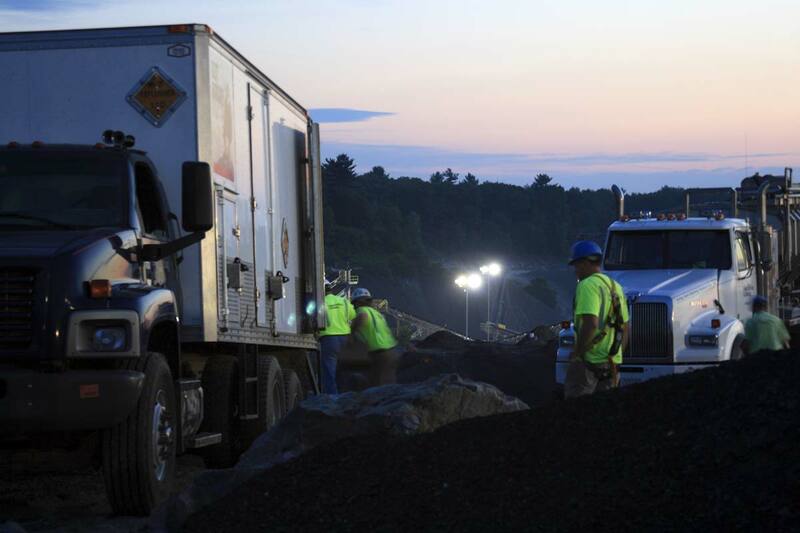 Wrentham Quarry is in the midst of undergoing a lot of changes. We are about to begin a big transformation of our secondary plant this winter. However, a major project is already ongoing in the quarry. With the help of Maine Drilling & Blasting, we are installing a new ramp that will allow us to access more stone and further the development of the quarry and its operation. The project is ongoing but has gone smoothly so far. From development to implementation, it has been a clean process that has gone as good as we could have hoped. The results of the blasts have met our expectations. Our operator has been very satisfied with the digging of the material which allows him and the haul trucks to be efficient at their job of getting stone to the Primary crushing plant furthering the production of the Wrentham plant overall. I have been working at Wrentham Quarry as Site Supervisor for 18 months and have enjoyed working with the MD&B team. They are a professional, hardworking and safe crew who has always followed our safety procedures and done a great job with the drill and blast operation here in the quarry. 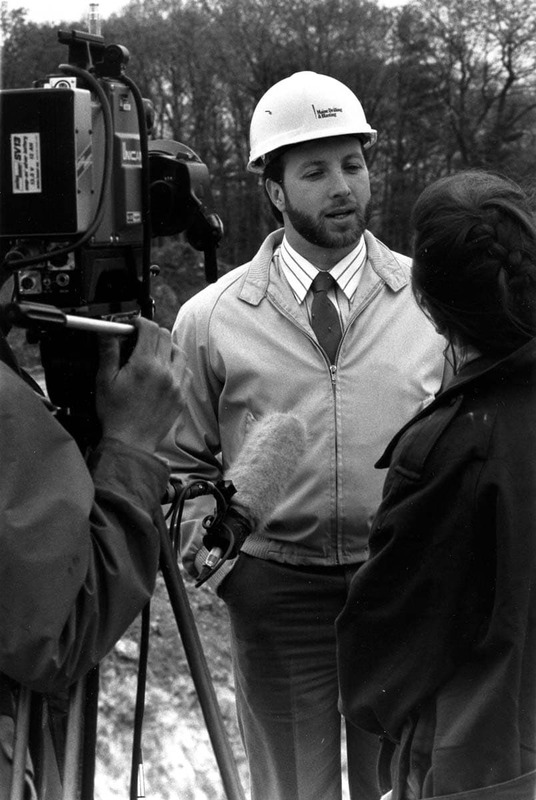 I look forward to the continued relationship with Maine Drilling & Blasting."